Enrico, a fellow aidworker in South Sudan, wrote several short stories on The Road. 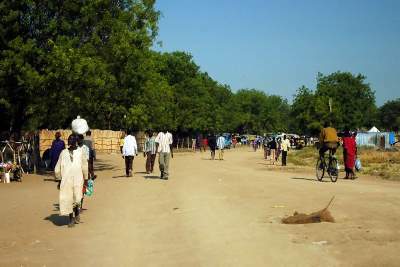 I was waiting for a convoy to come back from Panyagor to Bor town, the capital city of Jonglei State in South Sudan. The convoy comprising of two 4x4 Landcruisers arrived at the compound. One of the vehicles was badly damaged. I approached one of the drivers and asked him how the journey was. - “Very bad”, the driver replied. - “What happened?”, I asked. - “A python capsized my vehicle”, the driver continued in half English. - “Very big, indeed”, he concluded and entered his tent. In French, they say "Les excuses sont faits pour s'en servir"... If you want to find an excuse for something, you can always find one. That reminds me of this driver in Chad, who turned over his car while driving in the middle of a convoy of four (which is quite a feat). When I asked him what happened, he told me that he had to swerve to avoid running into a camel. He never satisfactorily explained why none of the other drivers or passengers saw a camel near the convoy.